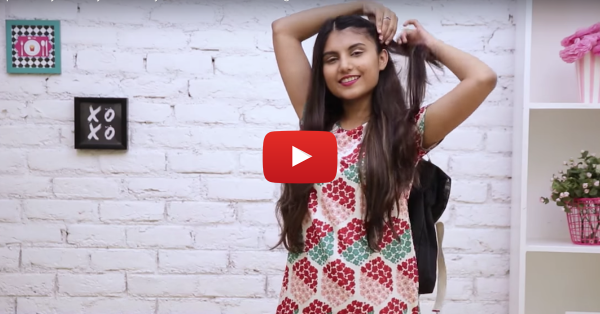 3 Super Easy Hairstyles To Try When You're Running Late! How often do us girls end up running late? On a scale of 1-10, we’d give ourselves a 6, at least! Don’t you agree? Yes, the mad morning or even evening rush leaves us with little time to get dressed to our heart’s content. And while most of us may still find time for our makeup and clothes, our hair always suffers as an afterthought. Most of us are often on the hunt for quick hairstyles. But don’t worry, because we’ve got three super easy hairstyles you can try when you’re running late! You can thank us later. ;) Watch the video now!